In 1958, the Circolo Italo Americano Corenese Club was founded in Cleveland, Ohio. The founding group of Filippo Biasiotta, Luigi Biasiotta, Fiore Biasiotta, Giovanni Palmiero, Vincenzo Costanzo, and Mariano DiVito were inspired by principles which had deep roots in the most fertile ground of our will to establish a more friendly and social relationship among us and our countrymen. Motivated by this desire, our actions shall find in our goodwill that common sense responsible for guiding our activity and work in this Club. The recreation and social feature of this club shall always be kept in the mind of our members. The Club exhorts its members to keep alive our Italian traditions, and to discuss problems concerning our native land for only the reason to keep always high our filial feelings toward her. We have to acknowledge that one of the main factors of the club is the degree of its ability to link our mutual relations with our community. No club can be acknowledged as being well organized if it does not accomplish this link with the outside community. We live in the community; therefore, we are to be proud and ready to cooperate in the solution of its problems. Our Club, besides being a recreation organization, shall also be civic, in the sense that it shall raise the moral values of the members to a higher level of citizenship. Only thus, we will reach an end aiming at the improvement of every single member. The Circolo Italo Americano Corenese Club is changing! It used to be that CIAC was a group of passengers, along for the ride, in a car driven by the past. Today, our Club is not just driving the car, but more importantly, we are driving it towards a future, a future for our ancestors, ourselves, our children, and their descendents. As members of Circolo Italo Americano Corenese, we must be committed to leading and shaping the future of the social club in Cleveland. As an organization, we will embark on new ways of working together,leaving old paradigms behind, to make the Circolo Italo Americano Corenese Club more dynamic and more inspired to carry on old traditions and create new traditions for generations to follow. We, the members of CIAC, will succeed only through cooperation. Cooperation will be the integral ingredient to instilling a sense of pride in every member. The Officers and members of Circolo Italo Americano Corenese along with the Corenese community express our deepest sympathy to the family and friends of the Mariano Divito who passed away on August 25, 2016. 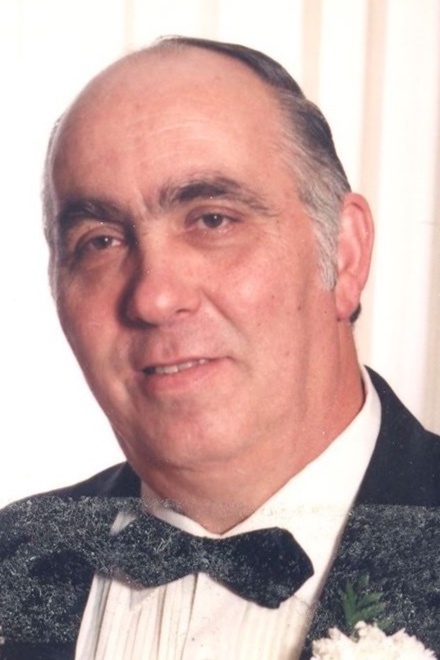 Marino was a founding member of our Club and remained active until his passing. He continued to provide us memories from the past as well as wisdom on how we should proceed going forward. He is survived by a very large family of 3 daughters(spouses), grandchildren, and great grandchildren as well as 4 sisters. His passing has left a hole in our community. We are extremely sorry on his passing. The success of our Club has always been based on the successes of our membership. Whether it is conducting an ordinary meeting, the Annual Picnic or a successful fundraiser, our members support and participation is essential. If you are interested in becoming a member, please contact Tony Biasiotta, Domenico Ruggiero, Rosamaria Belmonte or any of the remaining Officers or members. You can complete a Members application and attend one of our monthly meetings. You can click on this link to obtain a copy of the application. Note our next monthly meeting will be on Thursday, December 7, 2018 at 7:30 PM. The meeting will be held at 6444 Pearl Road, Parma Heights, Ohio. We will be discussing and planning for the years activities. Individuals interested in joining the Club are welcome to attend this meeting. This years Annual Christmas Party has been tentatively scheduled for December 16 at the Middleburg Heights Rec Center @ 3:00 PM. The Committee will be finalizing the plans and notifying the membership. We will be having our Annual New Years Eve Dance on December 31, at the St. John Bosco Belltower. Details will be posted when finalized. Still We are still gathering information for the website. Send information using the link below.